A six week program to help you start a healthy smoothie habit! Kickstart your mornings with this 40 day program designed to develop your green smoothie habit! The ingredients aren’t always what you’d expect – discover how avocado can help make a smoothie creamy and how chocolate can turn it into a decadent yet healthy treat. 40 Days of Green Smoothies breaks the 40 days down week by week, with each week offering its own set of tips and shopping lists.Jump in and find out what your mornings have been missing! Get 40 Days of Green Smoothies in PRINT! 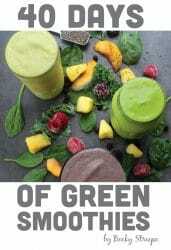 Get the 40 Days of Green Smoothies E-BOOK! What is it that’s so comforting about piling food into a big bowl? 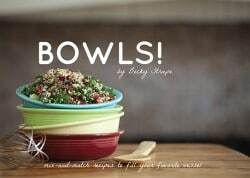 When you think bowls of comfort food, you probably picture soups and stews, and this book has a whole chapter devoted just to that classic bowl fare. But you can do so much more with a bowl. BOWLS! by Becky Striepe shows you how to elevate even a quick supper into something special.From cooking basics like preparing grains and dry beans to fun add-ins like homemade mushroom bacon or gingery peanut sauce, BOWLS! will help you transform any meal into a cooking adventure. Let’s make some bowls, y’all! 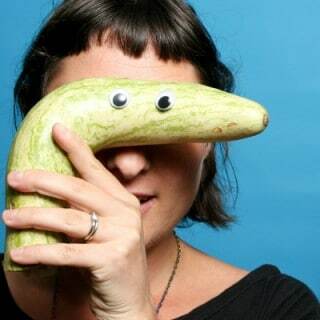 “Many cookbooks that cross my desk contain fabulous recipes that use healthy, mouth-watering ingredients, and I enjoy finding new dishes to make for my family and friends from them. Not many of them make me think differently about how to create meals.